Happy first weekend of college football! 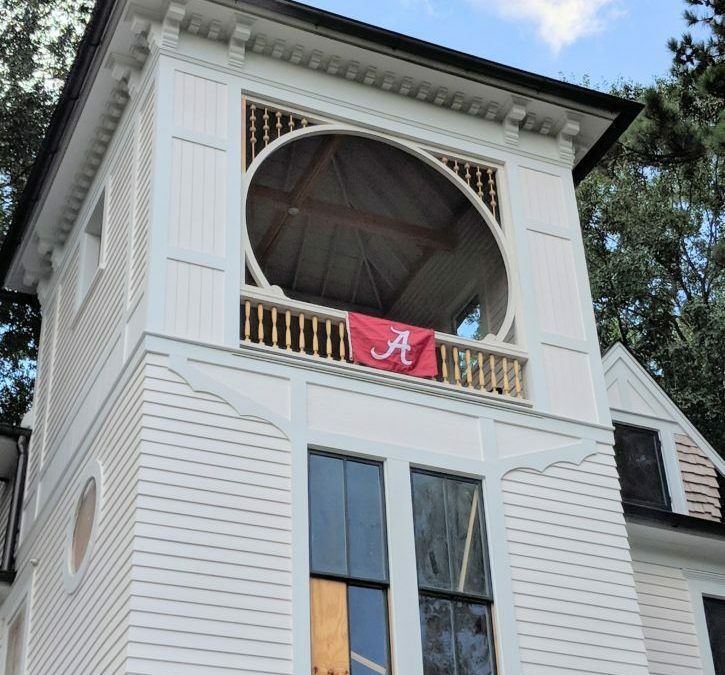 Our college football flags are flying high up in the tower. The tower porch is coming together with the installation of the arch and balustrade, ball and stick fretwork, and some of the front windows below. It is feeling like 1890 again! It’s a great place to hang out flags! I just ordered a larger Alabama flag for it. Roll tide to a great game last night! Omg! The transformation is beautiful. All your hard work is coming together. Thank you, Ellen! It has been a long journey but it is coming together beautifully. Must have you over soon to see it.